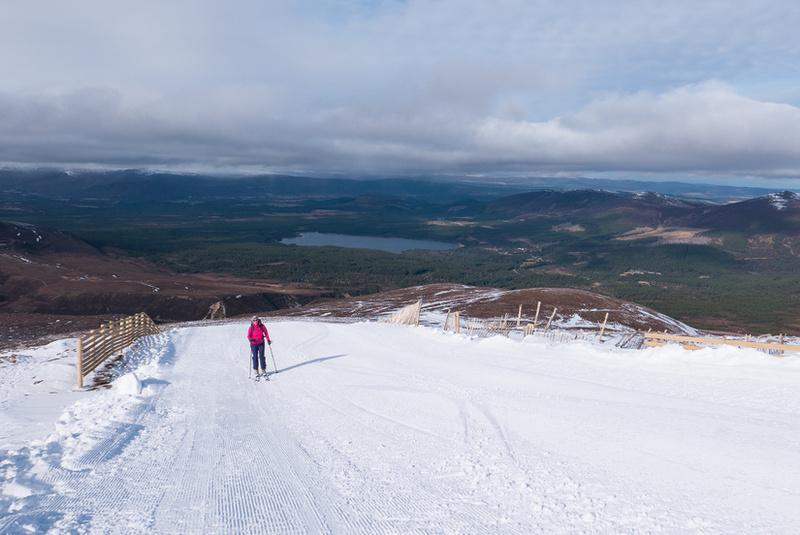 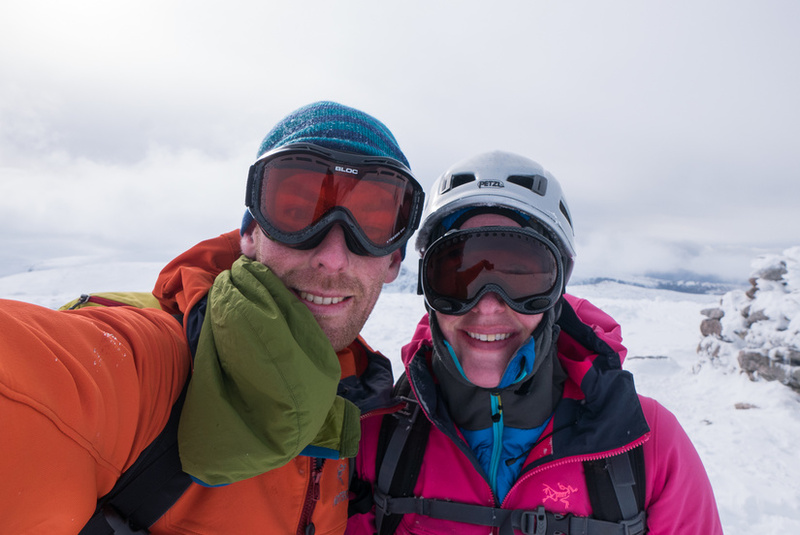 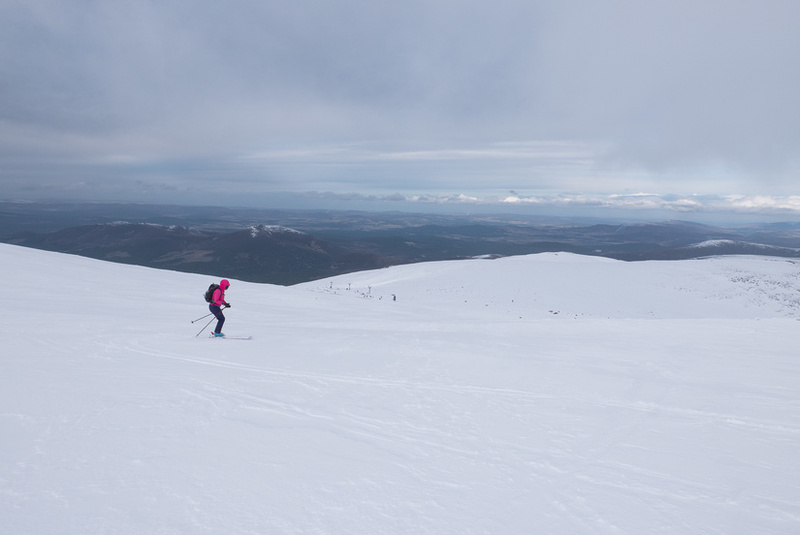 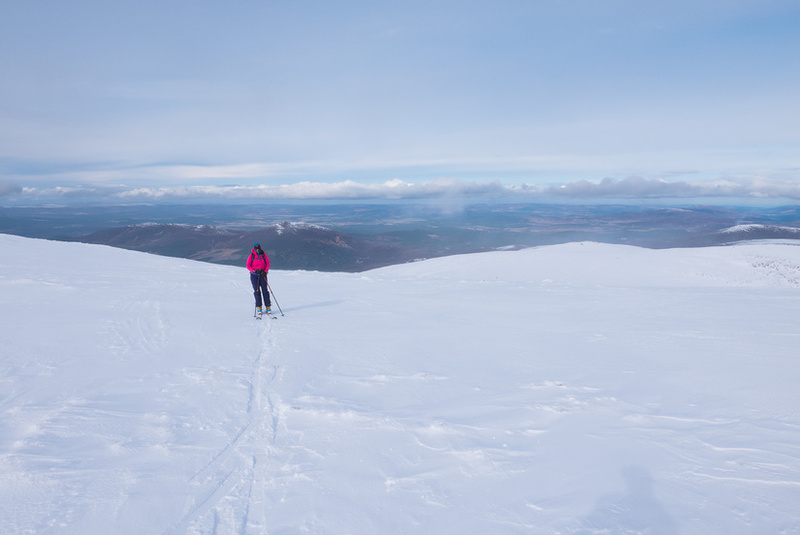 Today was an introduction to ski touring for Becky, as it was her first day out touring we skinned up one of the closed pistes on the Cairngorm ski resort, before heading off into the backcountry and up to the summit. 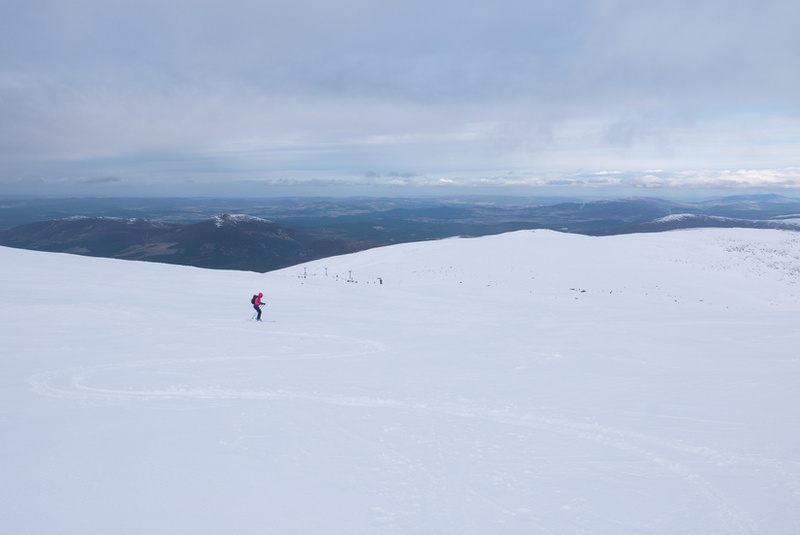 We had planned to traverse around the northern corries and then descent down Lurchers gully, however we were running a bit later than planned having had to hire kit in the morning and the weather was closing in. 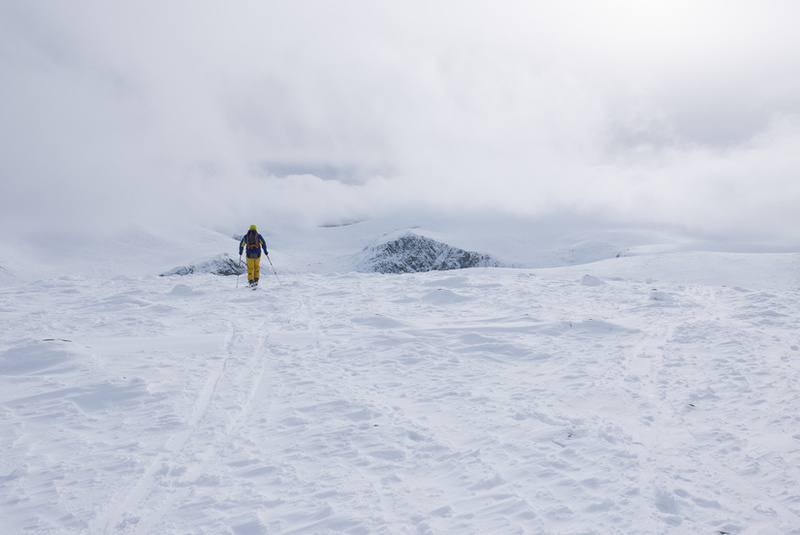 Due to this we decided just to head back to the ski centre and then head down the pistes back to the car.